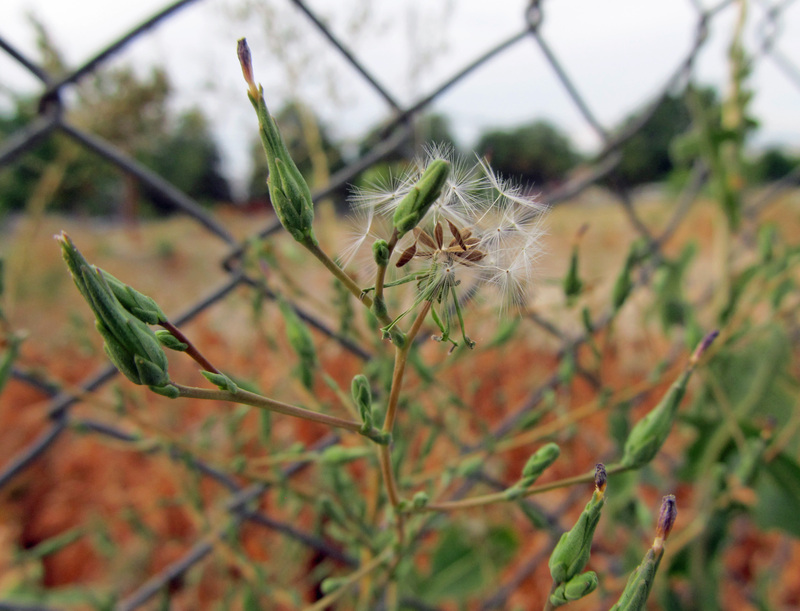 Is There a Place for Weeds in Urban Ecosystems? Highly urbanized areas have a long history of disturbance. They are a far cry from the natural areas they once displaced, bearing little resemblance to what was there before. In this sense, they are a brand new thing. During the urbanization process, virtually everything is altered – temperatures, soils, wind patterns, hydrology, carbon dioxide levels, humidity, light availability, nutrients. Add to that a changing climate and increased levels of pollution, and the hope of ever seeing such a site return to its original state – whatever that might mean – is crushed. 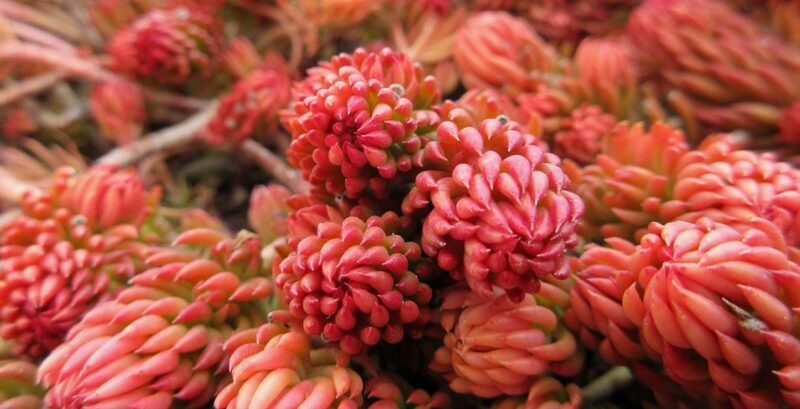 What then should we consider the natural flora of an ecosystem like this? Certainly it is not the native flora that once stood on the site before it was developed; virtually none of the conditions are the same anymore. If we are defining “natural” as existing with minimal human intervention, then the natural urban flora would be whatever grows wild outside of our manicured landscapes and managed, remnant natural areas. It would be a cosmopolitan mixture of plants that have joined us in our migrations with and without our permission, along with a collection of species that are either extant to the site or have been brought in by wildlife. In many ways it would mirror the human populations of our modern cities – an assortment of residents from around the globe with diverse backgrounds and cultural histories. In Wild Urban Plants of the Northeast, Peter Del Tredici classifies urban land into three general categories based on their ecological functions: native, remnant landscapes; managed, constructed landscapes; and ruderal, adaptive landscapes. Native, remnant landscapes are generally small areas within city limits that have never been developed. They contain a portion of the native plants that once populated the area, and they require vigilant and regular maintenance to keep non-native plants from invading and to control those that already have. Managed, constructed landscapes include all of the parks and gardens that have been designed and intentionally planted. They require regular maintenance of varying intensity in order to keep them looking the way they are intended to look. Ruderal, adaptive landscapes are abandoned or neglected sites that are populated by plants that have arrived on their own and that maintain themselves with virtually no human intervention. This is where the true, wild urban flora resides. Prickly lettuce (Lactuca serriola) growing in an abandoned lot. Many of the plants that make up our wild urban flora are what we commonly refer to as weeds. These weedy plants appear in landscapes throughout our cities, but are generally removed or controlled in all landscapes except the abandoned ones. It is in these neglected sites that weeds have the greatest potential to provide vital ecosystem services, performing ecological functions that are beneficial to urban life. 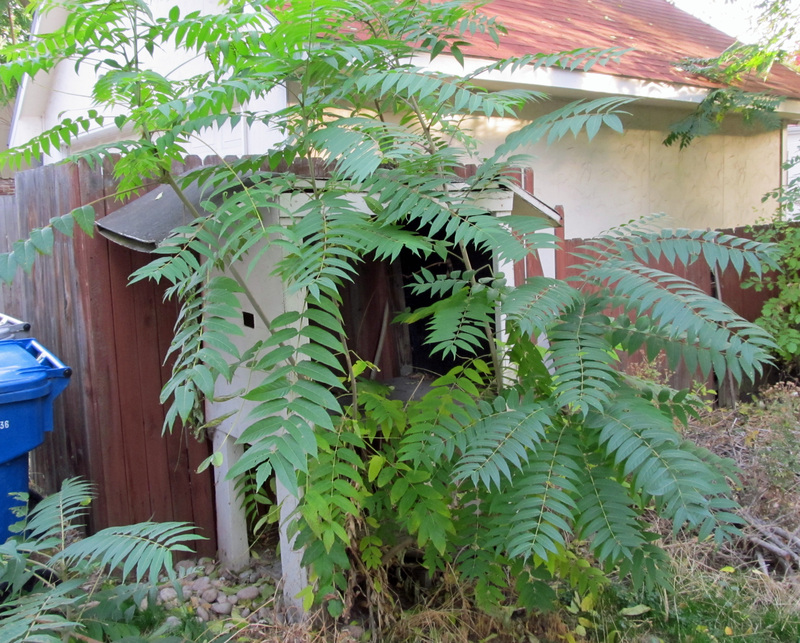 Abandoned chicken coop overtaken by tree of heaven saplings (Ailanthus altissima). Despite how we feel about these plants or the aesthetics of the locations they find themselves in, they are performing valuable services. Apart from adding to the biodiversity on the site as well as producing oxygen and sequestering carbon – services that virtually all plants offer – they may be preventing soil erosion, stabilizing waterways, absorbing excess nutrients, reducing the urban heat island effect, mitigating pollution, building soil, and/or providing food and habitat for urban wildlife. While cultivated and managed landscapes can achieve similar things, these neglected sites are doing so without resource or labor inputs. They are sustainable in the sense that their ability to provide these services is ongoing without reliance on outside maintenance. In the book, Weeds: In Defense of Nature’s Most Unloved Plants, Richard Mabey writes: “As we survey our long love-hate relationship with [weeds], it may be revealing to ponder where weeds belong in the ecological scheme of things. They seem, even from the most cursory of looks, to have evolved to grow in unsettled earth and damaged landscapes, and that may be a less malign role than we give them credit for.” Perhaps, seeing them in this worthy role, will temper our knee-jerk inclination to demonize them at every turn. See Also: Our Urban Planet and Wild Urban Plants of Boise. Why Awkward? Why Botany? Why Now?